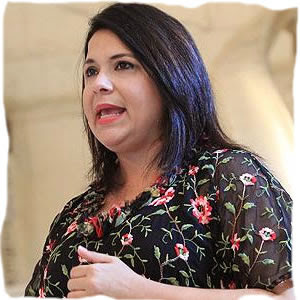 The popular senator Maritere Gonzalez admitted today that her office has hired the accounting firm of Tax Advisors Lutgardo owned by Lutgardo Acevedo López , accused by federal authorities of corruption court acquitted him of a case of negligent homicide . Gonzalez also said it filed a motion congratulating the accounting firm , claiming that it had been recognized by the Caribbean Business magazine as one of the 15 leading firms in the country. Senator distanced herself from any personal connection with the defendant accounting today , stating that their relationship was strictly "professional" . Gonzalez said that the contract with the accounting firm was for a period of two months at $ 1,000 and was to address the analysis of last year's budget . "Once stopped the work and functions will not renew the contract because it was for a job at the end of the budget ," said Sen. interview with journalist Luis Enrique Falú the radio station Noti - One . As for the motion card, senator defended herself saying that it was not a tribute , but a written acknowledgment for being one of the " Featured " West area, region firms he represents in the Legislature.
" We congratulate the firm represented by this book , which is recognized in the country , a firm that everyone recognizes and distinguishes firm in the west area . Recognition And that we did for an article that appeared in the magazine Caribbean Business , where reference is made to this particular award, " reported . The senator said she wanted to create a "nonexistent " link between her and the accused today , which cataloged as an example of the " dirty" politics. "I believe that here the element is how dirty politics is what it is, because here you have to bring up and we must speak the right job I came to do and the positions I have taken , so that the people can then distinguish why it is you are trying to pull this out of proportion and establish a link there is not, that does not exist , "she said . Maritere Gonzalez admitted that the motion card was only signing Acevedo , but had another 14 that had also been recognized by the business magazine . Asked why not congratulated each other, said Sen. know the reasons .
" I do not know the reasons , and is not homage , it is a motion card , not an activity where a special session which distinguishes in particular, but is a motion is extended to Tax Advisors Lutgardo and accounting work is done " she added.